So far, I have to admit, that when I was thinking about wedding dresses I always thinking of long dresses. But the past couple of months I was guest in a few wedding where the bride was wearing a gorgeous midi dress and this was the time when I was start re-thinking about the short wedding dresses… which actually are so beautiful! So why to wear a short wedding dress? Actually is more comfortable, especially for the wedding party! Midi dresses actually can be really elegant and they are just perfect for modern weddings or even wedding with vintage details. And who can wear them? Everyone! Wedding dresses with tutu skirts are the great choice for young brides or women that actually adore this ballerina style. 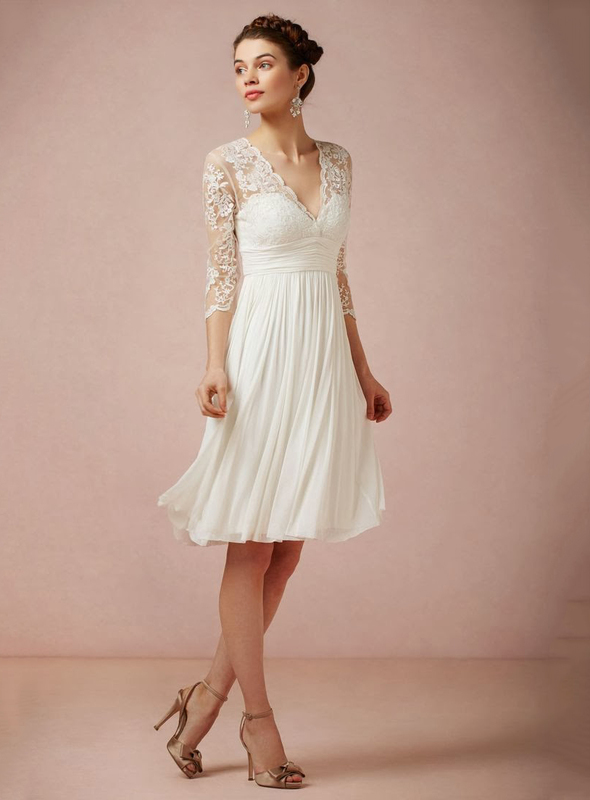 In a more simple and chic way with lace details and crystals can be the perfect dress for a more simple woman who wants to be unique but without over doing it! Where you can find them? This easy too… just check in the online store of Amodabridal the perfect site for wedding dresses in Australia and cheap wedding dresses with online sales! You will definitely find the wedding dress of your dreams! So what is your type of wedding dress??? εντάξει με αυτά μας ξεσηκώνεις και θα μας βαλεις να κανονίσουμε ανανέωση όρκων!! !